Open thread weekend | Climate Etc. It’s your turn to introduce topics for discussion. Brad, you beat me to it. In addition, the rate of loss of ice has slowed considerably. http://nsidc.org/data/seaice_index/images/daily_images/N_stddev_timeseries.png My bet with Bob Droege is looking better and better from my point of view. The UK Met. Office and the AGU ought to be getting worried that they nailed their colors to the mast in claiming that the reduciton of Arctic sea ice was a strong indicator of CAGW. CO2 continues to increase, this year at close to 3 PPM per year rate yet delusional climate scientists such as Murry Salby think it is natural. Murray Gell-Mann can’t figure these guys out. Gell-Mann would not know what to do with Girma. The little bear can’t even get the right kind of spectroscopic method correct. Atomic Absorption methods measures electronic transitions at frequencies much higher than infrared because electronic transitions are higher energy transitions than vibrational transitions. AA is used to identify transition metals and not molecules such as CO2. Infrared spectroscopy would have been the correct method to reference. And what does the little bear mean by ‘CO2 is only capable of absorbing 7% of infrared electromagnetic spectrum in the 15 micrometer frequency range’ anyways. The little bear doesn’t seem to understand that a ‘spectrum’ is a full range of frequencies of light such as the IR spectrum or the UV Spectrum or the visible spectrum, not a specific frequency (15 micron). So it is not possible for anything to absorb 7% of a spectrum within a specific frequency. Me thinks the little bear just wanted to string a bunch of sciency sounding words together that sound important to sound like an expert… in stead he sounds like a BS artist, so I quit watching. Girma, what is it, exactly, that you *admire* in this particular video? Because “MrJacktemplar” (the guy who made it) is an abusive nutjob conspiracy theorist, whose videos flog “rainwater and hairsample ChemTrails analysis” … for the low, low price of twenty-five (British) pounds. Girma, exactly why did you (and WUWT/Watts) conceive that MrJacktemplar’s abusive display of willful scientific ignorance was an appropriate video to post on a weblog that seeks to identify “the best available science”? That is a serious question, Girma! The little bear means that only 7% of the infrared emission spectrum from the earth falls within CO2 absorption bands. Aside from a quibble about saying “atomic absorption spectroscopy” when he should have said “absorption spectroscopy” did you find anything else objectionable? 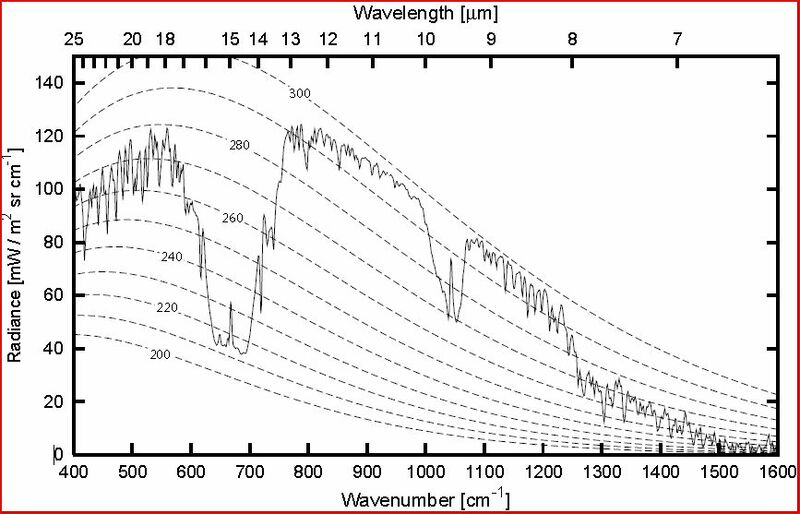 Infrared spectroscopy (IR spectroscopy) is the spectroscopy that deals with the infrared region of the electromagnetic spectrum, that is light with a longer wavelength and lower frequency than visible light. It covers a range of techniques, mostly based on absorption spectroscopy. Given we are talking about CO2 absorption bands then emission spectroscopy isn’t used and neither is reflectance spectroscopy. So your quibble is based solely on the difference between “atomic absorption spectroscopy” and “absorption” spectroscopy. Said difference is pedantic at best to a non-expert in spectroscopy. If that’s the best you got then you got nothin’. No, like I said, I quit watching after that. Heh, funny that a video produced to promote Global Warming as a Hoax would try to understand the fundamental physics in question in order to refute it, TO EXPERTS IN THE FIELD. Obviously it’s not directed at experts by virtue of using cartoon bears as narrators. Still, it’s not a quibble when the understanding of the fundamentals is misunderstood even if it’s intended for non experts. The error was sloppy at best and more likely due to a total lack of basic RHT theory understanding. Since they got that part wrong, it can only go down hill from there. Notice how the earths maximum radiance is pretty closely centered at about 15 micron wavelength. CO2 absorbs in the region of the spectrum of earths highest radiance, which is significant. I would recommend the entire post by Clive Best. Much more enlightening than cartoon bears. We are cooling, folks; for how long even kim doesn’t know. The concatenation of the cooling phases of the oceanic oscillations, and the Cheshire Cat leers from Ol’ Sol. We have been cooling for the last 82 million years. In those days we had forests on Antarctica, now a massive icesheet. Kim, I have been thinking that you are gearing up to go on stage delivering one liners. Let me know if you do and I’ll give it up for your first performance!!!!! Heh, wishin’ I could retire. Why aren’t my comments working? Is bringing up the sun banned or something? The Sixty-four Trillion Dollar Question is whether or not cooling comes with the coming grand or lesser solar minimum: if that’s to be, even Leif doesn’t know. So how good was the NASA model forecast for solar cycle 24?. Based on recent NASA performance, it is even money that solar will be discovered to have a greater than anticipated impact on climate. I say “discovered” because that sounds better than DUH. Yes, the sun is banned. It obviously does not have enough energy to “force” climate. Only the Great and Powerful Carbon can make climate dance. You can’t have too many factors or it all gets so confusing. Does anyone know how often and what time ARTIC ROOS is updated? Pretty sure they update daily, even on weekends. Washington DC is very cold at the moment. Care must be taken not to confuse one year with climate. Yes. One year is weather. Remember that next time you want to point to a regional heat wave, drought, tornado outbreak, hurricane damage, etc. as something other than mother nature tossing dice we can’t see (at least can’t see yet). David, now 15 years is weather. The newly leaked AR5 tidbit says the non performance of AGW might be explained by weather variations. Yeah, a real game changer. It’s really interesting how participants on both sides of the debate continue to grasp on to various weather related events pointing out to the other side how it is evidence that the climate is behaving in ways supporting their beliefs. Stop, really… on both sides, stop the silliness of taking isolated events, droughts, floods, cold summers, warm winters, hurricanes, frankenstorms, tornados, blizzards, monsoons, typhoons, etc.. etc.. etc… as evidence your pet theory is being supported. ‘Weather isn’t climate’ we have been told countless times by both sides when it is used to support opposing pet theories… When will both sides start heeding their own dictum? I am not doing that. The warmists claim there is a trend in the decline of Arctic sea ice that “proves” that CAGW is real. Now you are absoliutely correct that one year does not MAKE a trend. But one year can BREAK a trend. And that is what appears to be happening this year in the Arctic. 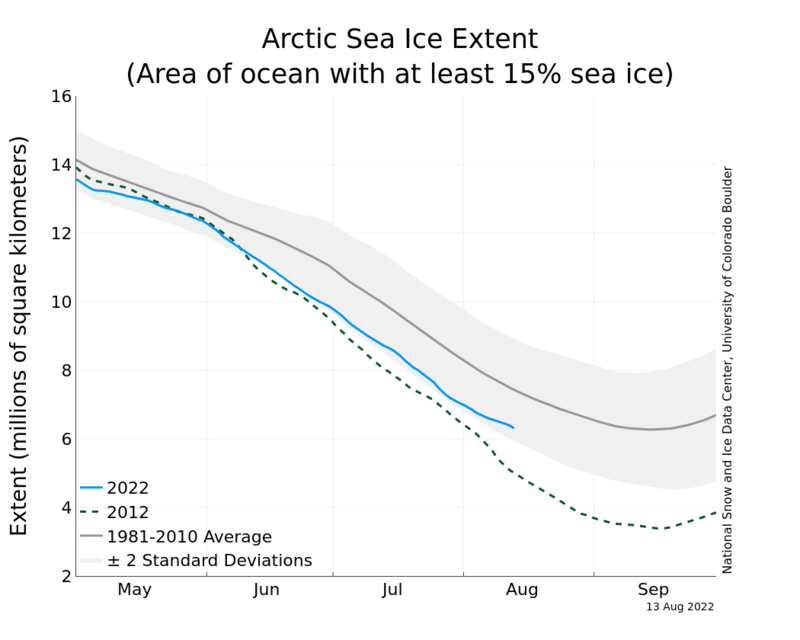 The trend towards ever decreasing amounts of Arctic sea ice seems to have been broken. And that could be highly significant. Well Jim, my limited understanding of Arctic sea ice loss can be summed up as… sea ice diminishes a little bit each year but periodically a year of accumulation follows on a year of previous loss. Last year was a year of more exceptional loss, so we might expect this year to show an a accumulation. We need to see another couple years of accumulation data to say the trend might be broken with this single year event as the start. I tend to agree. It is the long-term, what are called secular trends, that have the greatest significance. Like the continued almost monotonic rise in excess atmospheric CO2 and the continuous decline exportable crude oil. I agree. But we have the warmists predictions of an ice free Arctic in the summer in the very near future. Peter Wadhams, for example, says by 2015. Previous predictions put the date at 2013. Do we just ignore these predictions, which have had a lot of publicity in the MSM, and pretend they were never made? Or do we suggest that maybe, just maybe, the trend has been broken and these predicitions are likely to be just plain wrong? Jim, I love when people make predictions. It shows a high level of confidence. Me, i’m not that confident in the short term to make such a prediction. That prediction will get properly lambasted by ‘skeptics’ if it turns out to be false in 2015. But even if the Arctic were to be ice free by… lets say 2023… the 2015 prediction on climate changing time scales would have actually been pretty good. Like I have told you before, it is an inertia problem. If the climate is shifting warmer due to CO2, it will not be demonstrated as such for several decades more. So even if the prediction comes back as false, to say it was really wrong would take an ice free Arctic 100 years from now. None of us are likely to be around at that time to be able to say ‘I told ya so!’. I have over 30 articles bemoaning the increase of arctic ice and the coming ice age — all in the sixties and seventies. Is anyone considering that the PDO is making its oscillation back to a cool phase and with it a reversal of winds. The arctic is (after winter months) a floating body of ice and last year winds blew that ice, in part, to warmer regions. The AMO may be changing in not too many years to come. Global sea ice area has remained generally constant with the Antarctic in the past increasing. Would it not be interesting and very telling if Arctic sea ice started to increase and Antarctic decrease in equivalent amounts? Just Asking. Dave, it’s just as pinheaded to use what may be typical natural variations as evidence that a hypothesis is incorrect. I would expect to see natural variation fluctuations within a CO2 warming hypothesis, especially if the CS to CO2 is on the low end of the range. If Joshua were here, he would call that a mommy mommyism, heh, and I would have to agree with him. it’s pinheaded to use weather phenomenon on either side of the debate when statistically there is no basis there is an uptick one way or another. At least from what I have seen. No, John. The experts make the rules. When they used, for example, Hurricanes Katrina and Rita as props for consequences of global warming, then it becomes legitimate to point to an extraordinarily quiet hurricane season to negate their claim. Contrast this with using an extraordinarily quiet hurricane season to claim that CO2 emission reduces the number of hurricanes. Apples and oranges. I’m not an expert. I don’t make the rules. But I can play by the rules and beat them at their own game so long as the playing field is level. If the current global temperature continues to divert from the models, I do think that indicates the models are not useful for the prediction of global temperature, they should not be trusted to predict anything else and furthermore should not be considered in policy-making decisions. Let’s also admit if they can’t predict, vs “project” – the weasel word, they are useless for policy. I’m a little surprised at your ignorance of the rules of this very old game, Dave, so don’t run out there in your bare feet. I see you have some support for your athleticism. This game requires devotion to the arts of fear and the techniques of invoking guilt. Every extreme weather event, and they are extremely common, is to be used in service of the game. Might as well get used to it; you’ll soon not need weathermen. Kim I’m very well aware of the rules. What you refer to is commonly abreviated FUD standing for “Fear, Uncertainty, and Dread”. Pointing to Katrina and Rita were indeed designed to spread FUD and contrasting that with a just-as-rare lack of land-falling hurricanes is a legitimate way to counter the FUD. Just because it’s FUD doesn’t mean you can ignore it and it can be countered with evidence of exactly the same nature since the experts introduced the rule allowing such evidence. Sure, Dave, just wanted to adorn your armour with some posies. ps Kim politics of guilt is a given in the US and generally in the West. Charity is an imperative for most religious Americans. If you want to try some entertaining guilt tripping look into studies about how much charitable giving is done by Christians vs. atheists. Welcome to the culture wars. Looks like there are just a few cubes in the Northwest passage too. Data folks, look at data. My thoughts are not based on one year of data, or a thought about weather. When I read IPCC 4 and noted they needed to limit the solar forcing to get carbon dioxide to matter in the model, ?I thought they were wrong. Certainly far from conclusive, but it is interesting that the drop in winter temps exactly follows what the solar folks have been saying both from a magnitude and timing standpoint. It’s the sun. When looking at volume, I find it interesting that the volume peak has shifted from July to May, suddenly 2010. It appears that the volume growth season now stops earlier due to a warmer Arctic. This sudden shift looks like a tipping point. Note also that the volume minimum is not reached until much later than the September area minimum and that the winter volume has been steadily declining and not recovering (the spiral). Surely it’s less soot and cyclones. I thought climate deniers claimed the ice loss was due to soot and cyclones. Suddenly they agree that it’s warming that causes the ice loss, who’da thought! As with most things in life, the causes are many. That’s why simplistic thinking and slogans about “climate change” won’t cut it anymore. Actually S T denier., analysis of CO2 in the atmosphere shows a slight increase in the percentage that is C-12 as opposed to C-14. The extra C-12 would most likely be from fossil fuels which have gone over 50,000 years of radioactive decay. I doubt many, if any, in the scientific community, regardless if they think there is any significant warming due to additional CO2, would disagree with the results as measured in Hawaii. I believe anyone contributing here would agree that with an increase in atmospheric CO2, there are greater forces to remove that CO2. That is a basic tenant of nature .But the increase seems to be greater than the sum of movement to the sinks to a degree which would increase the annual amount of CO2 in the atmosphere by 3PPM. That seems to be a consistent amount of increase. That in no way means the extra CO2 is causing warming. C14 is a cosmogenic isotope – which makes it useful for carbon dating. C13/C12 ratios aren’t of much use either for tracing fossil fuel carbon in the atmosphere. Annual rates of increase vary substantially. However much or little CO2 is being washed away by rain, the measured level of CO2 is increasing. Hi darryl – fist of all: who is the clown to guaranty that 150y ago was the best amount of CO2 for trees and crops? It was depleted to critically low level for prosperous vegetation. 2] CO2 is not evenly distributed – reporting 380ppm is misleading and to complete their story for panic. It’s fodder for the Urban Sheep b] Hawaii is not appropriate place for monitoring. 3] plants don’t discriminate which isotope of carbon is = fossil fuel and wood burning releases every kind of carbon – the more in the atmosphere the better for the crops and trees. GLOBAL warming is a mythology cheers! So you now agree co2 IS increasing then. .You’ve ditched your earlier claim that is isn’t, that the rain washes it out etc etc, so you’ll no longer need to provide evidence of that silly claim. For this claim,however, you WILL need to provide evidence. Otherwise we’ll know it is just something you sucked out of your thumb (or worse). No Stefan, if YOU don’t suffer from truth-phobia, you’ll show us, here and now, your alleged evidence that that CO2 is not a greehouse gas. In a few SOBER paragagraphs; IF they’re any good, folks will be happy to read more. We have two tropical items this week, ‘Erin’ in the eastern Atlantic and an invest in the Gulf of Mexico. Neither of these systems seems to be able to things together like the four named systems that preceded them this year. This coincides with a fairly cool summer here in Western New York (the real New York) but more importantly low sun spot activity in the current cycle. I know it’s early yet, but things are going to have to pick up soon if NOAA’s tropical outlook for 2013 is going to pan out. The Southern Tier of course is the cream of the western NYS crop. I got a lot of relief from that last thread; an astounding outpouring of understanding. Solar activity governs the equator-pole gradients that dictate terrestrial circulation. This is a simple measure of changes in how long the terrestrial northern hemisphere maintains circulatory configurations that vary in central limit with the solar cycle. I’ve verified that related results are robust across choice of monthly vs. annual sunspot numbers. They’re even robust against converting sunspot numbers to binary data — i.e. simple “high” (+1) & “low” (-1) sunspot numbers! Yes, I get the *same* SCD (solar cycle deceleration) curve. That’s how good wavelets are as tachometers — a good insurance policy against politically & administratively deliberate data vandalism. Many studies have shown that the actual extent of climate “sensitivity” to added pCO2 cannot be determined with any confidence. It could range from close to zero to as much as 3 Celcius per doubling of pCO2. The actual shape of the PDF is assumed to be a modified bell curve, but it’s doubtful the evidence really supports that assumption. There’s a probability, of unknown magnitude, that increasing pCO2 will produce a sudden and (in net) undesirable change. What to do about it? How rapid does a particular type of change have to be to produce seriously undesirable effects? For instance, a rise of 5cm/year in sea level could easily be adapted to in many areas. What areas would be unable to adapt without serious economic consequences? What level of rise could they adapt to? In areas requiring substantial new construction and other development to bring them up to the desired standard of living, how much extra would it cost to provide resilience to rising sea levels? How much could those costs be reduced by proper application of human ingenuity? Agriculture is prima facie easy: a substantial change in weather pattern from one growing season to the next will (probably) produce a substantial decline in yields. How could agriculture be made more resilient to sudden (micro-)climate changes? Much of the world is undergoing enormous technological development. What are the risks from increasing pCO2, and how could they be mitigated in new construction/development? How could the added costs be reduced through human ingenuity? Well, when you consider all the factors that can produce local or general tipping points, the probability that AnthroCO2 has anything to do with those points approaches a limit that is very small. Heh, we’ve already got harms of perhaps less than Sixty-four Trillion dollars, but the toll is rising. Well, this would suggest a focus on “no regrets” policies, meaning don’t raise the price of energy (by any significant amount). I would agree: the risk doesn’t justify it. But I would also assert that the “problem” of increased pCO2 can be solved without raising the price of energy. Both assertions are open to debate. I agree. The risk of climate change damages do not justify the consequences of increasing the cost of energy. I agree. The world could, if it wanted to, cut GHG emissions without raising the cost of energy. I agree. Only ‘No Regret’s’ policies can be justified and only ‘No Regrets’ policies will be acceptable. You probably mean 5 mm/yr. No one is claiming 5 meters per century: maybe 1 meter. I mean 5cm/year. Given the amount of new construction necessary for many areas to reach parity with the industrialized world, adaptation would cost almost nothing. As for the other areas, what is the actual cost of adaptation if you assume that all but historical monuments will be replaced in 20-30 years? Pick your own sea-rise rate. Do you know that cities like London and New York would have to be protected or partially relocated with meter rises? It would be expensive. Who pays? Carbon tax starting now pays for it (through the justice of cause pays for effect), I say, but that’s another subject. Do you know that cities like London and New York would have to be protected or partially relocated with meter rises? Protected from what? Waves (from storms on top of storm surge) or actual standing water at high tide? If waves, could the problem be addressed when it comes up with less expense than now, given the assumed improvements in available technology? And how much of those cities will be replaced by the time the sea rises that far is that high? Yes, increasing coastal and low-area flooding making rebuilding there questionable at best as we see already today with parts of New Jersey. If the effects of waves (on top of high tide/flood) could be reduced or eliminated (through technology), how much would it improve the chances of rebuilding? How much will have to be rebuilt anyway to fit in with improved technology? Could buildings be rebuilt so their lowest levels were immune to flooding? How would this affect their value/esthetics? AK, there are some sandbars where only a fool would rebuild, and if they do, they need a special insurance rate so that no one else pays for their poor decisions. Eventually that ‘sandbar’ might include large sections of Florida, for example. With any luck they will find a denialist insurance agent who doesn’t account for sea-level rise (it’s a clue if they don’t exist). Eventually that ‘sandbar’ might include large sections of Florida, for example. Are you talking 20 years? 50 Years? How do you know that building with foundations in tide flats won’t be cheaper than regular ground by then? Especially if there’s an anticipated market for such building? Data, look at data, not models. Data shows sea level rise at a sedate, infinitesimal, 3.2mm/yr and to get that high they have to add an adjustment for ice age decompression of the earth. Agree, worry about sea level rise WHEN IT HAPPENS! All this strum and drang about models which have been reliably WRONG is a bit hilarious, if it weren’t so serious. AK, this debate has already started in New Jersey. Do cities want to be responsible for rebuilding in areas more subject to future flooding? Should they just turn them over to natural habitat? Should people who do rebuild pay more insurance? Eventually bigger cities will be asking the same questions. Do cities want to be responsible for rebuilding in areas more subject to future flooding? Should they just turn them over to natural habitat? Should people who do rebuild pay more insurance? How much of that building was stuff that shouldn’t have been built in the first place? And how much of the question is predicated on ridiculous scare stories about 10 meter sea-level rises? AK, that’s exactly it. The area where people should never be building is expanding with sea-level rise. They are OK for century storms, but when it gets to decade storms, no way. This is how insurance should work as a deterrent. The area where people should never be building is expanding with sea-level rise. They are OK for century storms, but when it gets to decade storms, no way. This is how insurance should work as a deterrent. But how fast is it expanding, with only a fraction of an inch per year, if that? But that’s not my primary point. Technology might well be able to solve the problem, at very low cost. Put breakwaters offshore, slanting on the side facing the sea, and put Wave power devices in the shallows. Overbuild them enough to capture energy from very strong storms. The result? While the sea level from storm surge at high tide might rise a little, the effect of waves on top of that level could be reduced. And the structures would at least partly pay for themselves as energy generators. AK, no, nature is going in one direction. Those places will be unsellable to anyone who thinks of resale value. Location, location, location. Why not live on the continental shelf. Float in the the water. Make houses or office building with a foundation which floats? 1/8″ or 1″16″ thickness. Cap one end. Throw in water which is 8″ or deeper. It will end up floating vertically. Take 2′ diameter by 8′ length of pipe- 1/2 1/4 steel. Cap, throw in water. Take 20′ by 80′ make walls 1/2 a foot thick made of concrete. Cap it. Throw in water. Same result- float vertically. Now remove air from inside floating one end capped pipes, so the float say 1/8th out of water. So concrete pipe floats 10 feet above the water. Now, you have a very stable structure. You essential have big keel of sailboat. it stays vertical unless massive force causes to to tilt [like using the force of a sail]. have more displacement and thereby can float more weight. And one could other material than concrete. But concrete is fairly cheap stuff. But I will run the numbers on 20 foot diameter. 64 lb. So 1570 cubic feet displaces 100,480 lb [50 tons]. Now calculate the ocean foundation weight [roughly as first]. The density of concrete varies: 1750–2400 kg/m3. We pick twice density of water [2000 kg/m3] to make simple. So 20 foot diameter has 62.8 foot circumference. So similar to 62.8 feet wide by 80 feet long and 1/2 foot thick. So 2512 cubic feet of concrete. to solve this. But I will switch to steel. How thick to make steel? 1/4″?. foot. So we had 5024 square feet: 51,245 lb. Or 25.6 tons. Btw at $500 per ton, that is $12,811 worth of steel. Around a price of large concrete driveway. Need the cap. So it’s 316 square feet- 3208.8 lb more. So put steel pipe with cap in the water, water fill the inside, until it’s weight forces it vertical. And it will float about 40′ in the air above the water. Let air out, and lower to 10 feet above water [so it’s not 4 stories high- more air can be added later if needed] . Oh, rats, I could used the concrete, oh well steel probably cheaper. So 5 feet of depth lifts 100,480 lb [50 tons]. 1 atm. So 5 feet requires 2.2 psi of pressure and will lift 100,480 lb. in the pipe. It does matter how high it floating it require about 1.2 psi for this amount of weight. So without putting a house of it, you have 1.2 psi of air pressure inside pipe which depressing water down below sea level by about 2 1/2 feet. I could used concrete if simply had more pressure- 10 psi would be been doable within even with concrete’s weak tensional strength. But steel has much more tensional strength. You could easily put windows in it if you wanted. Office building generally are over pressured by 1 psi [or more]. So not going to go into the weight of some house. But park a couple Winnebago on it. They are about 30 feet long and and weigh about 5 tons each. So make a deck. Also with airlock you build living inside it. there by pushing water 5 feet under sea level and having 2.2 psi in the pipe. So what does it all mean. So your floating house will be very stable, waves aren’t going to cause motion. One can adjust height so you are at water level or go up to about 20 feet off the water. Such a structure could withstand the worst hurricances. Though much bigger and used to store oil products off shore. One could different material than concrete or steel, but need something at bottom heaver than water [ballast] to keep it vertical. Actually, you could make something similar from a very thin shell of fiber-glass reinforced plastic, weighted at the bottom with a big sack of stone(s). Fill it with pressurized air, at the appropriate pressure. By attaching many of these together, you could support a platform large enough for a small city: the lateral support would mean you don”t need so much water in the tube, so most of it can be empty and filled with air. Add dynamic support: computer-controlled tension on the diagonal cross-struts and changes to air pressure in response to changes in weight distribution on the platform, and you could have something as stable as the ground. It’s been my contention that, at some point, the cost of floating foundations for large constructions will actually be smaller than on the ground. Not to mention that they would have much less impact on the environment. Issue Two of my new ‘Equatorial Cities’ journal will feature floating cities modeled after the jellyfish. Everybody knows it’s the damn blooms that are the problem. In terms of a city, you could make a huge floating ring which functions a harbor. One might even grow the ring from coral. So make a framework in which coral grows onto. If this perimeter is deep enough it block waves. Therefore giving calm water within and structures within which don’t need as much stability against wave motion. The pipe with one cap is my idea of how rockets should launched from the ocean. Such structures can be design to have enormous lift [buoyancy] and be made to rise at high acceleration. So could add hundreds of mph to thousand ton rockets. The ability of a structure to go up and down can also be useful for a floating house. If designed to withstand the largest hurricanes, one want the deck to be above the highest waves- so they don’t break over the structure. Also convenience lowering it closer to surface to be more accessible to boats. Likewise by raising the height one can have a security measure to prevent unwanted guests from getting into your house. I agree that building on the ocean can be cheaper than on land, and on the ocean you would be far safer as compared to living on land. The general safety available on water could also allow nuclear power plants to easier to construct and not have earthquakes, floods, tsunami, nuclear war, impacts, fires, volcanos, etc not be such a problem. such structure to withstand 1 km high tsunami traveling at speed of sound. Getting into deeper water would part of such design. and you could probably lower your insurance costs. There are transportation issues, but they are resolvable. as are currently make ships. We are already there. Corn is the major calorie source across the world, and corn yields were stunningly good in drought areas last year and surprisingly good in the cold summer of this year. Hundreds of millions have been spent micro-adapting this crop to local areas, and ti is paying off. The key is to get this done across more acres, such as China and Africa. So as long as we can predict next year’s growing season, agriculture can adapt? Wonderful if true! Is it? You are missing my point, the corn of today (all crops are, but corn is the leader) is much better adapted to it’s local area and thus can react to other stress much more effectively than corn of even ten years ago. The largest genetic databases out there are not at medical facilities, they are at plant breeding companies and our deep understanding of the genetics of the crop have allowed us to build crops that are much better at yielding, period. They are better at all abiotic stresses (cold, heat drought) partially because they are much better adapted to have little biotic stress (resistant to fungi, virus, and bugs). Corn yields are the real hockey stick, but that is good news! In areas requiring substantial new construction and other development to bring them up to the desired standard of living, how much extra would it cost to provide resilience to rising sea levels? How much could those costs be reduced by proper application of human ingenuity? These costs are negligible compared with GDP to 2100. Rapid sea-level rise (>1-m/century) raises most concern as it is commonly felt that this would overwhelm the capacity of coastal societies to respond and lead to large losses and a widespread forced coastal retreat (e.g., Overpeck et al. 2006). IMO most people are guided by their intuition in estimating such impacts. Perhaps because I grew up reading science fiction, and have watched how society adapted to new technology, my intuitive response is that it’s no big deal, although it might result in a different weighting of values for different technological advances. PC is calculated assuming annual protection costs are constant, which is justified for the following three reasons: Firstly, the coastal protection decision makers anticipate a linear sealevel rise. Secondly, coastal protection entails large infrastructural works, which which have a life of decades. Thirdly, the considered costs are direct investments only, and technologies for coastal protection are mature. As always, I have a real problem with projecting costs based on mature technology. This is a “worst case” assumption, leaving out the potential for maturation of technology currently under development. This should not be a surprise as relative exposure to sea-level rise is the main variable that drives relative damages and for example, East Asia and South Asia have large, densely-populated coastal lowlands irrespective of the scenario considered. As far as I can tell, there is a tacit assumption built into the models used here: that the general methods of inhabiting sea-side lowlands will remain unchanged from today. That is, that there will be no development of specialized methods of inhabiting floodable lowlands in place of migration. IMO this is totally unrealistic. Technological development is proceeding already at a very rapid pace, and is expected to increase over the time being studied. But the directions of that development depend on relative amounts of investment. Comparing a scenario of rising sea level with one where it remains unchanged, we could expect a greater societal investment in technology for inhabiting floodable lowlands, perhaps analogous to earthquake protection. The bottom line is that IMO this report has actually over-estimates the damages from rising sea level (although, as always when trying to allow for unpredictable technological development, I can’t put numbers to it). Thus, the costs are even more “negligible compared with GDP to 2100” than the report suggests. Excellent comment I agree 100%. I agree. 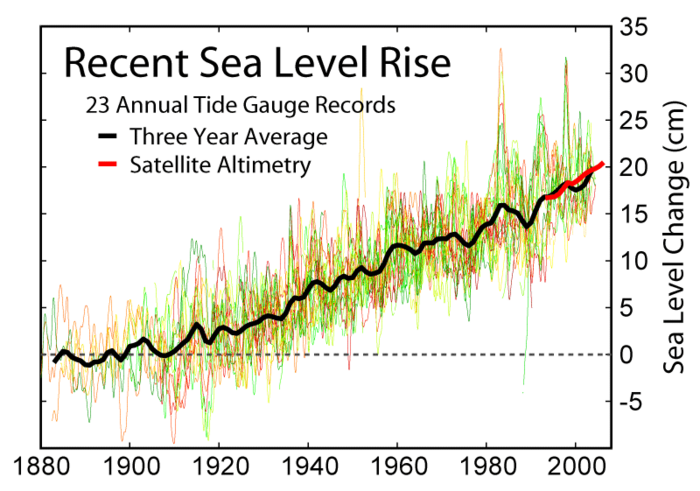 I suspect the ‘damages from rising sea level ‘ would be 5% to 50% of the Anthoff, Nichols and Tol estimates. That was the subject of subsequent discussion. What for sea-rise? Next year (between growing seasons) for agriculture. There are nuts on both sides, lets stick data on this blog. The clown borgot his sabot. Put an egg in it. Those modelers seek it everywhere. Is it in Heaven? Is it in Hell? I found the 12min Global Warming Hoax for Dummies oddly entertaining. CO2 denial at its best, but the dummies may fall for it. I also like the computer generated pronunciation of McIntyre, and its completely wrong intonation of some sentences. deep inside government, there is a tiny cadre of climate scientists going against the grain, still clinging to outdated, pre-postmodern ideas of integrity and honesty in science, that is genuinely seeking to find the truth about global warming, even if the answer is not to government’s benefit. There is a very high probability that what happens next will be just like what happened next in every other warm period in the past ten thousand years. When they tell us that what will happen next is something that never before happened next and that what always happened next will never happen again, you can be sure they are about 200% wrong. Herman Alexander Pope, it is a pleasure to augment your scientific understanding, by reminding you that “the warming associated to high CO2 levels has been solidly associated to planetary-scale extinction events. As contrasted with the most recent outbreak of creepy nutjob denialism at WUWT/Watts. Good on `yah, Herman Alexander Pope! So there was a problem two hundred million years ago. There may well be a problem two hundred million years in the future. The modern temperature cycle is regulated by water in all of its states. Water, Ice, Water Vapor and Clouds. This stuff is abundant. You can control earth with a fraction of a trace gas like you can control an elephant with a louse. It is a major mistake to give super computers to Climate Scientists and not teach them how to write and verify software. If the model output does not match the data for the system you are trying to model, you have something very important that is very wrong. Most likely the basic Theory you started with is Wrong. Like using something tiny to control something that is massive. This is about the worst idea that I ever saw anyone write computer code for. We, in NASA, made our models work right and put mankind on the moon within the decade we started. We did this six times and sent people around the moon some extra times. Our part of NASA did get Computer Models Right. The Climate Part of NASA is not closer than they were without computers. it is not happening the way they say. People treat output from computers as something that is always right. It is not right when it does not match real data. They keep trying to fix the data. They need to fix their Theory and Model the Right Stuff. HAP responds to a FOMD, but not to me! I feel insulted and slighted. What gives HAP? HAP, so tell us exactly what will happen next. Your confidence appears to be very high, so tell is what you know is going to happen, curious minds here at CE want to know. Give a detailed explanation of what is going to happen, again. Don’t be shy, if you firmly understand your theory as well as you espouse, then put your money down. Scientists who think they know what is going to happen next when they perform experiments make their predictions known. They do this so when it comes to pass they can say ‘See!… I told you so! I knew it, I just knew that was going to happen!’ So come on HAP, tell us what we should expect. Half the fun of being a scientist is being able to say ‘I told you so!’ Hansen does it all the time. And HAP, I’m looking for dates and time frames of when to expect whatever it is we should be expecting. No wriggling about, I want specifics! Somehow I’m 100% certain not to get a response from you… prove me wrong. MODEL’S are not experiments they are a guess. Yeah, so what…. Just because I mentioned Hansen? Look, scientists, whether performing experiments in a laboratory setting or theorizing (modeling) a natural system typically have a preconceived notion of what they think is going to happen based on previously gained knowledge, hypotheses or known physical relationships. The more confident they are in their knowledge or theory, the more precisely they tend to make predictions. Hansen, whether you agree with his methods or not, is very confident in his theories…. so he makes predictions. He lays it out there for everyone to see. He has guts. Mind you, I don’t personally agree with much of what he predicts or any of his advocacy. But the point is he is very smart and has confidence in what he knows to make precise predictions, like his loaded dice predictions of warm/cold winters over the next couple years. I respect a scientist who is not afraid to make a prediction. Now look at HAP. HAP litters threads with his ‘Popes Theory of Climate’. He has lots and lots of confidence that his theory is correct. He claims there are reams of data to back up his theory. But if you ask him where to find the data… crickets. If you ask him to make a prediction…. crickets. So what do you conclude from that? Do you nod and say, ‘heck yeah, that Pope makes a lot of sense, I don’t even need to see the evidence, it just sounds right to me’… or do you take a more skeptical position and say…. ‘Huh, ask Pope questions to back up his assertions and all I get are crickets…. maybe he’s full of BS’. So which do you choose lorne50? See I’ve been asking Pope these questions time after time after time. I’ve read his theory. I got more questions. But he has answered a single one so far because my questions are not pats on the back. All I get are crickets. If you put your hat in the ring that your a climate expert, which I would say HAP has done, then you gotta play by the same rules everyone expects climate scientists like Hansen or Mann or Jones to abide by. John Carpenter: your admiration of Hansen is acknowledged. His Failed Forecasts for decades do not impress me much. if this is your hero, you don’t really have much. HAP, first I want to thank you for actually responding to my comment… thank you. But I think that says it all about whether I consider him a ‘hero’. Third, you really didn’t answer my questions. See, ‘skeptics’ will get all over the Hansens, Manns and Jones of the climate world if they do not produce the data and answer the tough questions. I am just extending that same protocol to you who are a ‘skeptics’. Where’s the beef? Show me your stuff, I want see it too, not just the pretty graphs, the actual data used to make them. What, you don’t want to show me cause I might find something wrong with it? It will follow similar up and down cycles on the same time scale for the next ten thousand years. What has happened will happen. every time it gets warm it snows more and then ice advances and then it gets cold. Every time it gets cold, it snows less and the sun warms and removes ice. If you are “true fan of MORE discourse” you will cite to real data and peer reviewed science not compilations from commitees. As anyone got a good estimate of the amount if silt that rivers pour into the sea and how changes by humans have influenced this? I was trying to come up with an estimate of how much silt it would take to increase sea level at some measurable level. It seems an obvious calculation to do, and my back of the envelope calculation gives me a 1 micrometer sea-level rise for the Yellow and Yangtze rivers alone. Is there a good estimate floating around? No. But siltation from rivers is not a sea level issue. Plate tectonics cause more centennial variation–Another natural factor humans cannot control. Is it fair to say historical climate data since the medieval warming period has been discarded in favor of proxy data? “Bastardi thinks that not only will the next few winters be colder than normal for much of the U.S., but that the long-term climate will turn colder over the next 20 to 30 years. “That ties into a lot of this arguing over climate change,” he added. Bastardi has pointed out that the Pacific Decadal Oscillation (PDO), which is a pattern of Pacific climate variability that shifts phases usually about every 20 to 30 years, has shifted into a “cold” or “negative” phase. This change to a cold PDO over the next 20 to 30 years, he says, will cause La Niñas to be stronger and longer than El Niños. Bastardi adds that when El Niños do kick in, if they try to come on strong like they did last year, they will get “beaten back” pretty quickly. “Let’s make it a little simpler. Are you familiar with the Heat Miser and Cold Miser? I would like to propose an experiment that has a bearing on climate modelling. I have proposed this before, but nobody has responded to it. Basically, one takes an enormous building, of which there are probably some lying around in the USA. One fills the bottom with water and has a heat source at one end and and warm source at the other. There are numerous obstacles between the ends. One might have a pump to induce a certain amount of (pseudo-coriolis) circulation. This will induce convenction in the water and also in the air above it with a circulation of water vapour and saturation gradients. One could arrange for the roof of this building to be refrigerated to induce precipitation. The whole building is instrumented up to the eyeballs with temperature, pressure and flow sensors so the state of building can be defined. Although this is NOT a model of climate, it does have some processes that are involved in climate modelling. The challenge is of course to make a numerical model of what happens inside this building. One could ask several groups to undertake this and compare their results with eachother and with reality. I suspect that the results would be interesting. It appears the ocean surface temperature drives a big part of the climate. So, your building model wouldn’t simulate that. I’m not sure about the influence of solar. UV varies by several percent, SW does not. Then there is the cosmic ray thing. CO2 will creep upward slowly and in the absence of (traditionally defined) feedbacks, it should heat the surface. However, there seems to be a lot not understood about the climate. Proposition We’ll know that the earth’s global energy budget is back in balance, such that global warming is over, when the seas stop rising. That’s simple thermodynamic common sense! Uhhhh … so exactly when *ARE* we gonna see this happen, kim? Gee, that James Hansen CAGW article coming next month (is it this preprint here?) is gonna be a blockbuster, ain’t it? `Cuz Hansen’s analysis ably synthesizes (what Judith Curry rightly calls to see) “the best available science”, eh? Good on`yah, for being brave enough to embrace the toughest best science, James Hansen and Judith Curry! Whoops … accidentally duplicated a post … here’s the scientific illumination kim and RC Saumarez are *REALLY* seeking! You are correct RC Saumarez! ▶ Suppose the energy sources supplies more than the energy sink extracts. ▶ Then the building will inexorably warm, as surely as earth’s seas are inexorably rising, and for the very same thermodynamic reason! ▶ Details of the (complicated) circulation are (of course!) irrelevant. Thank you for helping Climate Etc readers to appreciate the scientific reasons why James Hansen’s CAGW article coming next month (preprint here?) is gonna be a blockbuster! `Cuz Hansen’s CAGW analysis thermodynamically synthesizes (what Judith Curry rightly calls) “the best available science”, eh? Good on`yah for asking a mighty good question, RC Saumarez! This thread has been taken over by scientific illiterates. I am proposing an experiment. I agree with RC Saumarez. That kind of experiment in my opinion would be very useful for understanding the abilities and limits models, instruments and science itself. I’m guessing that since this is neither +1 or -1, it is just i for indifferent. It has a phase delay. yes, 0 would be indifferent, i is orthogonal. I think it means “I want to change the subject”. The GISTEMP:NOAA site describes the difficulty in defining and measuring SAT (Surface Air Temperature.) A clear reading of the description provided by NOAA confirms that SAT is a fiction and cannot be used to describe in accurate terms temperature let alone climate change because there is no agreement as to what SAT actually means, what it measures, where it makes the measurements nor how it changes. The only numbers that can be stated are derived through the use of a construct defined by computer models of which there are many and for which there are few if any standards. As a result, NOAA admits that SAT is not a meaningful measure of climate as a static measurement nor is it does it capture an understanding of what may be a desirable climate condition or range, nor does it provide a measure of the evolution of climate on any time scale. Since it cannot be used to provide any of these measure, it is not suitable for providing a description of why it is believed that climate change is actually occurring. if we redefine carbon dioxide to mean something different the problem goes away! ▶ classic American country-western music. `Cuz as Johnny Cash sings so wonderfully, what matters ain’t the early stages of the river rise, but the accelerating speed of the rise, and the final point of that accelerated rise. Thank you for displaying the ignorance-of-science elements of climate-change denialism so plainly, justsomeguy31167! LOL! Sure, lets depend on models which have failed to predict sea level rise, failed to predict temperature rise (even if we get them the HUGE benefit of the doubt and use the thermometer record), and failed to predict Arctic sea ice (which has nor dropped to zero, and Greenland has no melted as predicted). Modern climate change thermoscience has failed in all of the above. Show me a model with predictive power. Of course you are free to continue trying to spin the opposite. lolwot You keep telling how bad their predictions have been to help prove they can make good predictions. If they don’t get sea ice extent right and they don’t get sea level rise right, we can’t expect them to even suspect that this is a natural cycle and what is happening is the same thing that happened in past warming phases and this one will also end as the others did. They just do not understand climate and part of the problem is that they are just curve fitting Modern Data without understanding the data for similar periods in history. 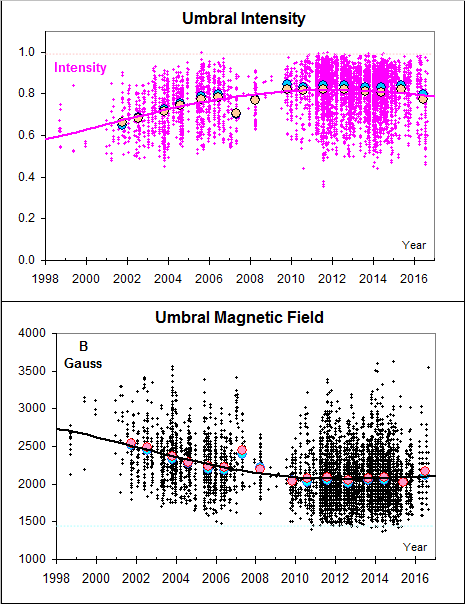 …which just goes to show how rubbish their models are – especially when the divergence between them and observations should already have been apparent more than thirty years ago. Well of course it has! Models don’t include AMO unicorns silly. It is clear you do not understand peer review, and have never published in a peer reviewed journal. So the Guardian is peer reviewed? Who knew! Not responding to your true believer stuff anymore. Good luck, I stick with the data, enjoy the models. justsomeguy31167 claims “It is clear you do not understand peer review. Thank you, justsomeguy31167, for providing this opportunity to correct your various mistaken beliefs and claims! Conclusion Hopefully everyone on Climate Etc is arriving at a better appreciation Judith Curry’s scientific values are outstandingly well-matched to James Hansen’s scientific climate-change conclusions! And hopefully everyone on Climate Etc is arriving at a better appreciation too, that willful ignorance and WUWT/Watts-style creepy personal abuse are becoming increasingly characteristic of denialist cognition and demagoguery! Because who’s got time for the willful ignorance and creepy abuse that increasingly are the hallmarks of WUWT/Watts-style climate-change denialism? Further, please read my comment in context, if you can. What I said was the satellite based temp record and satellite based sea level rise record show nothing to worry about. Are you proposing we go with your model and not real data? 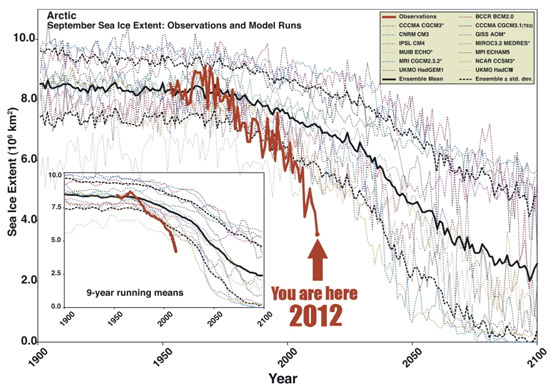 You are further proposing we use your model when it has been predictably wrong on temp, sea level, and everything else. What rational person would choose the model? Yes, all important data is well inside the bounds of the past ten thousand years. Only flawed Theory and Model Output goes out of bounds. The only two things that are out of the bounds of the past ten thousand years is CO2 is higher, and because of that Crop Productivity is higher than the bounds of the past ten thousand years. More CO2 makes green things grow better while using less water. But what about GRACE, that’s a satellite last I checked. It has measured the acceleration of mass loss from the antarctic and greenland ice sheets. Bob, I’m afraid you aren’t escaping the use of models with GRACE. The measurements may be by satellite but the calculations take into account isostatic rebound models. I am not trying to escape models, every hypothesis is a model. In regard to Judith Curry’s wise directive to focus upon “the best available science”, the best available science *AIN’T* land/air temperature records (`cuz the heat capacity of the land/air is low) and *AIN’T* dynamical models (`cuz climate dynamics exhibits decadal fluctuations), but rather “the best available science” focusses upon Earth’s Energy Imbalance and Its Implications, because this science rests upon the adamant foundations of the First Law (conservation of energy) and the Second Law (increase of entropy). Conclusion Judith Curry’s scientific values are outstandingly well-matched to James Hansen’s scientific climate-change conclusions! So heck … it’s not all *THAT* complicated, is it justsomeguy31167? 2,5000 references, but the article itself has not, and would not, pass peer review. Earth’s energy balance? Are you kidding me? Non-peer reviewed psychobabble. 99.97% of the energy budget comes from the sun, just try thinking about small changes to that, and the proof we have that slight cooling occurs in every minima between solar cycles. We are at the mercy of the sun, tiny changes drive our seasons and our weather. Put that in broader perspective. Judith Curry says use the best science, and that absolutely requires peer review. You can keep citing refs from the web, but that just won’t cut it. Some of here have a doctorate or two and understand a bit more than one who has a couple “wikis”. It is a pleasure to correct your misapprehension, justsomeguy31167! Please consult next month’s Philosophical Transactions of the Royal Society A! Justsomeguy31167, opefully this information increases your appreciation that Judith Curry’s scientific values *ARE* outstandingly well-matched to James Hansen’s scientific climate-change conclusions! Justsomeguy31167, you make a very good point regarding the peer-review status of the creepy denialist videos by “MrJacktemplar’s” that WUWT/Watts has taken to flogging. As for myself, I am more bothered by these video’s creepy abuse-of-women, than their dubious status in regard to peer-review. WUWT/Watts has pushed-out quite a series of misogynist posts in recent weeks, isn’t that right justsomeguy31167? Justsomeguy31167, what elements do *YOU* find most objectionable, in regard to this week’s crop of creepy WUWT/Watts denialist videos? I am somewhat surprised that Fan believes that the e Cretaceous–Paleogene extinction event was driven by CO2 causing heating. Oddly most scientist suspect that an impact, observed now as a 180-kilometre-wide crater in the Gulf of Mexico (Chicxulub), killed of 75% of the biosphere. DocMartyn, let us continue this discussion next month, following the publication of Hansen’s latest article. You don’t debate, you post crap from jerks like Hansen and expect people to accept it as truth. You are supposed to be a scientist, but you know bugger all about science or the scientific method. All you have now is failed fits masquerading as models and the rise in sea level to support your ‘Thermogeddonist’ views. Gosh DocMartyn, does this mean we won’t be discussing James Hansen’s “best available thermoscience” in light of the “best available paleoscience” and “best available eco-science” regarding the Paleocene–Eocene Thermal Maximum (PETM)? Hopefully you will change your mind, DocMartyn! `Cuz this is Climate Etc folks “best available opportunity” to learn the “best available science” regarding climate change. Warning Nature cannot be fooled … and oft-times she has spoken harsh truths. Fan, the globe is cooling and will continue to cool. You are left with rising sea levels and going back further and further in time to push our Thermogeddonist creed. Nature not only can’t be fooled, nor in the long term will science be. However, the whole cAGW will be taught in philosophy of science class as a classic example of intellectual arrogance, hubris and deliberate perversion of the scientific method, Aristotelian philosophy mated with computing brute force that only managed to produce ‘very pretty rubbish’. Watching you flounder in the face of reality and then have reach again for the doubling dice is like watching a drunk taking one more glass saying one more for the road. Next it will be the ‘faint sun paradox’ as proof of CO2 the ELE terror. Is it manic, is it panic? This poor Fanic, is hysteric. 65 million years ago, 55 million years ago, sometimes I get my extinction events mixed up, it could happen to anybody. Fanny, there’s something downright unhealthy about your crush on Hansen. Is there anything you’d like to announce in that regard? Uhhhh … so when are we gonna see that cooling show up, in *ANY* measure of global energy balance, DocMartyn? It was Judith Curry who reminded us to “focus on the best available science”. ▶ the best available science *DOES* focus upon earth’s energy imbalance and its implications, because this science rests upon the adamantine scientific foundations of the First Law (conservation of energy) and the Second Law (increase of entropy). Proposition Skepticism that focusses exclusively on the weakest climate-change science — which is to say, faux-skepticism of the WUWT/Watts variety — is no kind of *HONEST* scientific skepticism at all, but rather is a collection of demagogic practices that, in aggregate, are sufficiently ignorant, misleading, and shortsighted, as to constitute denialism prima facie. That’s pure common sense, ain’t it Howard? Here’s a poem for Beth! Howard, ain’t it time that we all stopped embracing denialism? Since this is an open thread and there are some science types here, I thought I would share these natural radio links. I built a natural radio and really enjoyed the eerie sounds of the “electosphere.” I never heard a whistler on mine, but have on the natural radio streaming link below. Natural radio is neat, I have heard you can actually focus on other planets with home-made radio telescopes. The type I linked to is for Earthlings, but yes, some people do listen to the Sun and Jupiter. Careful jim2 Tesla’s science is distinctly unfashionable at the moment! MORE discourse is a true believer who wants less discourse and more simple minded tripe. Call me when you can argue the data yourself, clearly you can’t. Justsomeguy31167, it’s true that the literature citations in my recent posts outnumber yours by 100-to-1. If that ratio makes my posts seem scientifically “geeky”, then please accept this apology! Also, was it too politically correct for me to outright condemn WUWT/Watts for posting videos that label women who accept that adding CO2 to the air causes global warming as ‘ignorant sl*tz’.. Apologies are offered if these scientific practices (rationality and citing the literature) and values (refraining from egregious personal abuse) are offensive to you, justsomeguy31167! Hi Fan, well I’m not “justsomeguy” even if I am just some guy, but what *I* find creepy is your continued insistence on calling people of good will who happen to disagree with you “denialists.” It’s contemptuous in tone, spectacularly close minded,, and profoundly antithetical to your evidently phony calls for more discourse. Pokerguy, you are one of my favorite skeptics! ▶ and worst of all, LOSE YOUR SENSE OF HUMOR! Pokerguy, your sense of “funny” is just plain too lively and creative (as it seems to me) for you to qualify on the third count. Conclusion Pokerguy, you have too much good-natured “fun” in you, to ever qualify as a denialist, and so you will have to settle for being (one of my favorite) skeptics. IPCC now has 95% confidence that the warming we’re not seeing is man-made, but only ‘medium confidence’ in the explanations as to why we’re not seeing it. I did my best on this blog and posted several articles that involved a certain amount of work. It has now been invaded by witless commentators and any reasonable discourse seems to be impossible. As far as I am concerned this blog, which had the potential to be exceptional, has now been destroyed by a witless, ill-educated mass who have nothing of any quality or of substance to say. Doubtless some will regard this as a victory..
Ferris, T. 1988. A Description of the Instrumentation and Data Analysisofthe Universityof Washingtoflashington State Energy Office Housing Energy Study. Thesis # 36342. Seattle, Wash.: University of Washington. This project applied at the scale of individual houses, precisely the energy-centric thermometric analysis that Hansen and colleagues apply at the planetary level. And yes, these houses were “instrumented up to the eyeballs”, precisely as you envisioned RC Saumarez! Why the similarity? Judith Curry’s directive “focus on the best available scientific method” explains it. Conclusion James Hansen’s energy-balance methods provide Judith Curry’s “best available science” for understanding global warming. Hopefully you will return to Climate Etc one final time, to gain a fuller appreciation of the well-established scientific power of Hansen-style thermometric methods, RC Saumarez! Flash in the pan. You proposed the experiment. What are you asking of the Denizens? Money? A building? A design? A medal? If you want to do something like that, do it! Create a web page, collect money, crowd-source the design if you can get people interested. You won’t accomplish anything by stomping off in a huff. Do I want to know what those “Hanson-style thermometric methods” are, Fanny? Have I witnessed them in a veterinarian’s office? I’m reminded of the cartoon of the scientist taking the temperature of a large and fierce beast. Hansen tried to take the temperature of such an animal, but he left the windows open. RC, First rule of the Internet, don’t take yourself too seriously. Second, you’ve given up too quickly. . It is precisely the witless, ill educated mass that may benefit from some wit and education. They are, after all, the very same people who will either be elected, (or in some cases, elect themselves), to interfere with our quiet enjoyment of life. Having said that, I believe in the absolute right of anybody to say anything they like. The usual objections about crowded theatres etc., are merely red herrings. I perceive a trend where blog hosts have adopted a more “hands off” approach than used to be the case. Good thing too, in my view! In any case, as Feynman said, “You can’t fool Nature.” Unfortunately, many commenters seem to think that you can, if you possess a positive attitude and keep broadcasting at high volume from the Fortress of Arrogance. I am guessing that AGW is on the the downhill run, while we contemplate what new madness to preoccupy ourselves with. I liked your posts, anyway. Richard, You have made your point and have taken your leave so I don’t expect that you will read this, but for the others who contribute without much recognition or appreciation from the silent majority either, I urge you to keep going because I , for one read them all and I enjoy the diversity of views. For John Carpenter – a list of things that have been blamed on global warming. You can’t make this stuff up!!! James Hansen explicitly rejects satellite evidence on top of atmosphere radiant flux. With good reason it seems. it doesn’t agree with simple assumptions or back of the envelope calculations of radiative imbalances. His assertions more generally go well beyond science to the realm of millennialist cults. Imminent climate chaos justifies almost anything – an anything that cannot be questioned in the current planetary emergency. The heirs of the scientific enlightenment espouse individual freedom, free markets, democracy and the rule of law. The new environmental radicals have no such commitment. They seem more the heirs of Robespierre and cohorts – authoritarian extremists – than Voltaire. We offer practical and pragmatic approaches to carbon emissions and they seem little interested. We offer economic growth and environmental progress. They look for transformative moments in which to overthrow capitalism and free societies. We propose broad based approaches to population, health, education, development, conservation and energy innovation. They babble on about cataclysmic limits to growth, a planet that is uninhabitable, fire, floods and plague. We recognise the right of humanity to a place in the sun and a bright and unbounded future. They characterise humanity as a pestilence. It makes these new radicals not merely cultural enemies – but an enemy that has God, science and the American founders on their sides – at least in their fetid imaginations. They are in other words fanatics with not the least doubt in the rightness of their cause. Crusaders who insist that conventional science is far too conservative and that we need to replace it with a non-scientific, apocalyptic narrative. In which they have not the slightest doubt. All this makes them the most significant threat to human freedom in the modern era. dip their toes in the water. Hmmm … Global warming, in the library, with the knife!! Climate change, in the kitchen, with a turkey baster. Climate weirding, in the narrative, with a malice aforethought. CO2′s voracious appetite for energy can omly be satisfied in two ways: kinetic and vibrational energy. We can forget kinetic, because it is no worse than O2 or N2 and it is less than 1% of the atmosphere. The answer has to be in the vibrational modes, of which there are many. When CO2 leaves the cylinders of your car or the furnace of the power station it is over 1,000C – very hot and most of, if not all. of its vibrational modes will be excited. When it exits the tail pipe or chimney it is still very hot and we would expect it to rise in the troposphere as a plume of hot gas passing its heat to the N2 and O2 as it rises. As it rises in the troposphere (like a hot air balloon) it can more readily radiate its heat into space, because the atmosphere above is thinning. So what propottion of heat is radiated into space, instead of heating our planet?. As the CO2 cools. density increases, it will fall again, maybe having used up all its excitation modes, it can no longer heat rhe planet. So this simple but apparently little unserstood chain of events may not be such a threat? So this explanation of CO2’s behavior in the troposphere can explain the pause. So long as the hot, hew proportion of CO2 from exhaust or chimneyremains below the presert level the pause will continue. Note that this new metric of CO2, if accepted, focuses not on total CO2, but on the proportion of new,hot CO2. What? No poetry corner yet? And little streams of alcohol trickle from bails of hay. Capn, I like the folk era better. For the Climate Is A Changin! Not sure why that hasn’t become a warmist anthem yet. another runner from the right. ▶ Who was President and what was his party? ▶ Who was the previous President and what was his party? ▶ Who was the previous X 2 President and what was *his* party? Kudos if yah can name all three! Bonus Question What American president won election in 1932 with the campaign theme song Happy Days Are Here Again! Fan that was the end of the Republican run and the start of a Democratic run. Much like the AMO, there tends to be cycles in politics. The never-ending lesson; when progress is regress, start a war. Humans contribute ? 5 percent current with all our cars and factories. 16 times means using 320 times as much fuel a year as we are currently doing . Impossible. Fan better be wearing his CO2-recovery mask. He certainly is an active critter – probably generating twice the CO2 of the average skeptic. Proof positive that “conservative” central planners are as stupid and inept as progressive central planners. Are the New Conservatives conservative in the US sense, or British sense? Also, is John McCain a member? I think “New Conservative” is just a tongue in cheek way of labeling the progressives who claim to be conservatives. And yes, the leadership of the U.S. Republican Party, including John McCain (all three Bushes, Chris Christie, Mitt Romney and GOP party chairman Reince Prebus) would be full fledged members. You left out Lindsey Graham. Well, he, at least, came out of Kerry’s dark climate closet. Gary, I saw a lot of good research exploding the viability of recycling about 20 years ago. I hired one of those economists whose work I appreciated, and her high standards in other areas reinforced the credibility of her work on recycling. But those demolition jobs, never refuted, were ignored by all sides of politics, recycling became ingrained goodness. Around that time, Australia’s alleged consumer body, the Consumers’ Association, came down heavily on waste dumps. I estimated from their own data that to accept their arguments against landfill, you’ld have to conservatively estimate the value of land used for fill at $A10-20 million an acre, not a common price in a continent with (at the time) about 20 million people. I used to subscribe to CA’s product-evaluation magazine, Choice, but cancelled as they became increasingly a left-wing activist group. Faustino, the Productivity Commission did a report on recycling a few years ago which also exploded all the myths. Needless to say, it was ignored by both sides of politics. Recycling seems to appeal to some sort of atavistic fear, or guilt, which defies logic. Here in Canberra, we still have a few recycling trucks driving around with a former government’s slogan “No Waste by 2010” painted on them. The irony seems to escape almost everyone. I should clarify that I mean government mandated and run recycling programs here, not truly commercial or personal recycling, which is none of my (or anyone else’s) business. Dance, Oh Fearful of the penance. Gary, I saw a lot of good research exploding the viability of recycling about 20 years ago. You might want to look at more recent information, then. There is a curious feature of cognition in the ageing brian – it’s more difficult to update existing knowledge than to learn something new. Hence the reliance on very out-dated information that you may sometimes observe. OK – you posted zero support for that. Links? It’s at least some of the reason for ‘Stuck on Catastrophe’. It would be nice if it would explain it all. Heh, kim, that’s unfortunately how science progresses – one death at a time. recycle, store, encase & dump, at least, there is consensus now on the proper way to put another 15 billion dollars into secret holes. It’s easier than you think. What’s really sad, phatboy, is that that may be the final whimpering end of this global social madness, and we’re talkin’ damage to 2100 and beyond. • State and territory waste management policies contain some inappropriate and inconsistent objectives. These have led to some jurisdictions adopting unrealistic, and potentially very costly, waste minimisation targets. – introducing mandatory product stewardship or extended producer responsibility schemes, where disposal problems have not been adequately demonstrated. • Waste management policy should be refocused on the environmental and social impacts of waste collection and disposal, and supported by more rigorous cost–benefit analysis, if it is to best serve the community. • As a general rule, policy makers should not use waste management policies to address upstream environmental impacts. Where warranted, these are much more effectively and efficiently addressed using direct policy instruments, and often already are. • Directly addressing relevant market failures and distortions throughout product life cycles will assist markets to achieve the right balance between waste avoidance, resource recovery and disposal. • Regulation of disposal has improved considerably in recent years, and where complied with, appears to have been very effective. However, compliance with landfill regulations could be improved considerably. – abolishing landfill levies (taxes) as these are not based on legitimate costs. • Basic forms of pay-as-you-throw pricing for kerbside waste and recycling services, should be more widely adopted, with information on the actual costs for these services better communicated to households. • In most large urban centres, for reasons of scale and planning (as with sewage and electricity), managing waste disposal is no longer best handled by local governments. • The Australian Government should play a leadership role in facilitating (relevant) reforms, and where appropriate, developing sound, nationally consistent waste management policies. Yes, indeed. Mass hysteria, wretchedness to a degree unknown today. Oh, and don’t forget, tyranny, TYRANNY, TYRANNY!!!1!!!. Good thing that we still have the “skeptics” to protect us from alarmism, eh? Well, whaddya know., You can’t make an omelet without breaking some eggs. Whooda thunk it? So, it makes sense to pick up a newspaper (using a truck), take it to a recycling depot, unload it, store it, reload it onto another truck, take it to a paper recycling plant, unload it, put it through various energy intensive processes (which may include bleaching if it is to be reused as paper), pack it, load it onto another truck, take it to a warehouse, wait for an order …. are you getting the drift here? I have no idea how these people worked out their “life cycle assessments”, but anyone who believes that should contact me about a Nigerian prince who is in need of banking facilitation. Why can you not grasp that where recycling is viable, it happens anyway? There is no shortage of silica in the world, so no need to recycle glass. Your real beef is that making glass requires energy – which you apparently, neurotically, see like the sands in the hour glass. But recycling glass requires even more energy – in the total life cycle. Readers here have reminisced about Popular Mechanics, and deplored its recent history. I now understand what they are talking about. Yes, if you isolate one example from relevant context, ignore all externalities, and create a scenario that confirm’s your biases, you will confirm your biases. I think that is reasonably certain to be true. That artilce addressed the precise question you just raised ; yes, for most materials, the energy requirments for recycling are lower than for manufacturing from raw materials. Can we agree that there is both benefit and irrationality in the process? Koldie, can you help understand something. ‘skeptics’ say that’s it’s cooling, and that CO2 rise is simply the result of increased out-gassing from oceans. “Skeptics say” is a pathognomonic sign of an ignorance glut. That’s a point in your favour if you can’t explain it either. As I’ve explained to moshe, I have figured it all out, but you have to read the blogs; it’s very complicated and I’ve forgotten it. Michael, I suggest you find the sceptic you’ve heard saying all of those things and ask him/her to make up their mind. Go watch the video linked at the end of this string, those are some of the arguments used by many skeptics. A lot of uncertainty out there, before you even look at the sun or other places. Thanks, jim2, for presenting the key findings of the PC report. The report itself has a lot more meat on the bones, especially about how the whole notion of recycling is conceptualised and why it is mostly nonsense. Some poor sods in the UK now have seven different kinds of bins, complete with fines if they do not comply. Welcome to the C21st, where having seven compulsory rubbish bins outside your home is seen as progress to a higher level of civilisation. Speaking of which, don’t get me started on the compulsory plastic food waste bins at my parents’ place in western Sydney, where it gets up to 40C in summer. They are collected once a fortnight. You can imagine what they are like, especially around Christmas/New Year. All those prawn heads, meat scraps, and maggots. Fortunately, the Council has informed them that they are helping to “Save the Planet.” And have put up their rates to pay for it. What a farce. We have a similar system in Canada. I keep my food scraps in the freeezer until the time comes. I wonder what the refrigeration cost is of freezing garbage? Ah … cable color code. Cold in the Arctic, cold in Minnesota, cold in Illinois, cold in DC … all this cold is titillating and I’m sure the Katrina/Sandy hysteria club feel like they’ve hit a time warp and gotten slammed into Opposite Day, but we can’t be like them. A cold snap does not an ice age make. Snap, crackle, pop, Rice Sunspots. Certainly a long way from proof of anything, but interesting none the less. Forget CAGW. Now we have AAGW – Apocalyptic Anthropogenic Global Warming. I’ll leave it to Mosher to define “drastically,” “thin glaze” and “supporting chemistry.” So much sophistry in such a small sentence fragment. Gray Lady – alone, lonely, desperate. What is that big block of loose ice near Russia going to do ? Melt, move or rejoin in the next few days before the freezing restarts. Is it actually loose oris the ice too thin to show. Presumably, in September, the SPMs to the IPCC AR5 will be officially announced. I, and I know pokerguy, will be fascinated to see what out hostess’s comments are, when the time comes. That is a great presentation. I look forward to his paper. That video passed peer review I am sure. Do you think everyone who disagrees with you is stupid? If so, you are the truly ignorant one. Whether you watch Fox or MSNBC you likely aren’t too bright if you are in lockstep with either. A focus on the physical domain in order to avoid discussions of mathematical modeling with the continuous equations, the discrete approximations to these, numerical solution methods used for solution of the discrete approximations, coding of all aspects of the models and methods, and application procedures and users. 1. Gaseous CO2, and the gaseous phase of H2O, both are interactive media with respect to radiative energy transport in the wavelengths of interest to the earth’s climate system. 2. The earth’s climate system is an open system relative to radiative energy transport: the systems can both gain and reject radiative energy. Some portion of the planet is rejecting energy out of the earth’s climate system for some portion of every day. 3. The earth’s climate system has never been in the past, is not now in the present, and will never be in the future in thermodynamic equilibrium. In particular, radiative energy transport at the top of the atmosphere has never been in exact balance between the incoming and outgoing energy. Thermodynamic equilibrium between components within the climate system is an impossibility. 4. The liquid phase of water, and, to lesser extent, the solid phase, and various other radiatively interactive solid particulate matter are present in the earth’s atmosphere. Some of the non-gaseous matter in the atmosphere reflect a portion of the incoming radiative energy back out of the earth’s climate system. 5. Relative to the postulated energy imbalance assigned to increases in CO2 concentration, convective transport of energy into the atmosphere from the surface and energy transport / exchange issues associated with the phase changes of water are not minor. Disregarding any and all possible effects due to human activities other than addition of CO2 into the earth’s climate system, on what basis is it known with absolute certainty that the energy content of the earth’s climate system shall increase over time as the concentration of CO2 increases? That is, what aspect(s) of the earth’s climate system ensures with certainty that over time the energy content of the system must remain above the level associated with a previous state having lower CO2 content. Corrections of incorrectos will be appreciated. It is the insulation effect of the atmosphere that determines, for a given surface temperature, how much is radiated from the top of atmosphere. Increasing the insulation (effective R rating) increases the surface temperature required to maintain the same top-of-atmosphere balance. Like adding a better insulator CO2 affects the gradient, and the boundary condition that fixes the top net radiation means that the gradient has to be changed only by the surface warming. Is this the standard ‘all other things being equal’ approach? More clearly, I like to use ‘all other things remaining constant / unchanged’. It is impossible for all other things to remain constant / unchanged. With or without addition of radiative-energy-transport interactive media into the atmosphere. Subsystems internal to the climate system will never be in equilibrium, thus ensuring continual change. Jim, it’s all convection. The term convection is very often used to refer to the sum of advective and diffusive transfer. Still air is a very fine insulator (insignificant conduction, diffusion or conduction, compared to the bulk movement of air). Multidisciplinary, complex problems of climate and metallurgy are analoguous to each other. Working solutions as objectives of problems experienced by me on any kind of metallurgical processes have made me understand that the first priority is to know the problem in reality well enough; theories and models are only tools which you are able to use as you sufficiently know the problem in reality. It is only coincidental that someone from experts of any singular discipline finds a working solution available for any multi-discplinary problem, including complicated climate problems, too. And even then one has difficulties to make experts of other disciplines, or politicians, understand the solution. In order to make find a working solution for any complicated problem of multi-disciplinary issue, as a focus, you have openmindedly to take an appropriate cross-disciplinary approach to the problem. 1) Does CO2 dominate climate? 2) Does human input dominate CO2 levels? 3) Is additional warming harmful? I agree with Brian H’s answer ‘no’ on points 1 and 2 ; look e.g. at my comment https://judithcurry.com/2013/07/29/uncertainty-lost-in-translation/#comment-355535 . As to point 3 natural warming, as the only alternative, has generally been useful during interglacial eras, one of which we live just now. However, on the basis of JC’s assessment of climate sensitivity I understand that she does not entirely exlude some role of anthropogenic CO2 emissions on global warming. For instance, in accordance with Roger Pielke Jr and Roy Spencer, she seems to believe that anthropogenic CO2 emissions could have some kind of role on global warming – although too small to be dominating. Anyhow, they even can not prove any empiric evidence even for the small role of antropogenic warming assessed by them. c) During last 15 years there has not been no trend of global warming, although the increase of CO2 content in atmosphere has even risen. e) David Wojick; https://judithcurry.com/2013/05/31/rep-lamar-smith-on-climate-change/#comment-328390 : ”Indeed Arno, I have made the same point here many times. There appears to be no GHG warming for the last 34 years, strongly suggesting that CS is zero.”Arno Arrak: ”Absolutely true. – – – CS is clearly zero – – – .” The positions of Wojick and Arrak agree even with what Jim Cripwell says: ‘the total climate sensitivity is indistinguishable from zero’. f) During last 100 million years the trend of decreasing CO2 content in atmosphere has followed the trend of global cooling. During glacial and interglacial eras CO2 contentent in atmosphere has risen when temperature has risen, and decreased when temperature has decreased. g) According to Mauna Loa analyses during the recent decades CO2 content in atmosphere has increased even a little bit exponentially. This is caused by the warming of sea surface temperarature on the areas where sea surface sinks are. There the partial pressure of CO2 increases exponentially as sea surface water warms, and this makes CO2 content in atmosphere increase exponentially, too, as there from tolal CO2 emissions stay increasing amounts of CO2. h) By interpreting the results of Bob Tisdale, the sea surface temperature of CO2 sinks areas is increasing during decades dominated by El Niño events. Then warmed sea surface waters on tropical areas have been moved by trade winds to the sea surface areas on higher latitudes where sea surface CO2 sinks are. The kind of situation has been for instance since 1970s. At the same time for instance Lance Endersbee has expressed how the global sea surface temperature regulates the CO2 content in atmosphere; ”Oceans are the main regulators of carbon dioxide” http://www.co2web.info/Oceans-and-CO2_EngrsAust_Apr08.pdf , and http://jennifermarohasy.com/blog/2009/10/lance-endersbee-1925-2009-civil-engineer-academic-scientific-sceptic-mentor . WUWT has a direct link from teh Drudge Report. An article about tornados in 2013 being a 60-year record low. Drudge is big. Watts server must be getting hammered. BFJ commented on Open thread weekend. 1] normal greenhouse has COMPLETELY COVERED ”transparent glass roof — CO2 is only 350ppm the rest is oxygen &nitrogen – that is same as having roof covered with a postage stamp and the rest is open – it wouldn’t be a greenhouse. Heat would have escaped trough the rest of no roof. 2] glass roof in a normal greenhouse is ”transparent” for the sunlight to get trough to the ground — on the other hand, CO2 is visible for the sunlight – blocks the sunlight in the upper atmosphere during the day – where COOLING IS MUCH MORE EFFECTIVE. p.s. oxygen and nitrogen are the greenhouse gases — same as glass roof on the normal greenhouse -> they are transparent – let the sunlight trough – sunlight warms up the ground same as in normal greenhouse – then as perfect insulators are slowing cooling – reason why the earth is warmer by 33C than the moon. The morons can notice that on the moon is no CO2, BUT cannot notice that there is no oxygen &nitrogen there. thanks for your questions. Cheers! Let,s get this right. Arctic sea ice melts from the bottom and edges. When the currents are warmer more ice melts. The decline in arctic sea ice is a consequence of transferred warming from elsewhere in the ocean as will be the re growth of arctic ice when the full value of the colder La Nina’s of recent times comes through. But extreme weather? Extreme weather is something that happens once every twenty years. (Angech definition). Proof is cyclones in Australia. Darwin, the capital city of the Northern Territory is hit by a major cyclone roughly every 20 years. There are a lot of cyclones every wet season but the path of such storms is such that there is only a 5 percent chance of one of them hitting the same spot in a year. Shifting this concept to the North one old have to show that extreme events are happening more than 5 percent of the time to the whole of the area being considered. Going south to great storm Sandy such events have happened before, will happen again and will always have an excuse (sorry, reason) such as a blocking high or a freeing low or two fronts/three fronts merging or moving apart. It’s called weather. The key point is, is it more or less common than 5 percent. As I understand it Hurricanes are at a low in recent years and there is no evidence of extreme weather other than the usual extreme weather of yore. Arctic sea ice melts from the bottom and edges. Certainly there’s some amount of sublimation from the top. Is it significant?